Hello everyone! 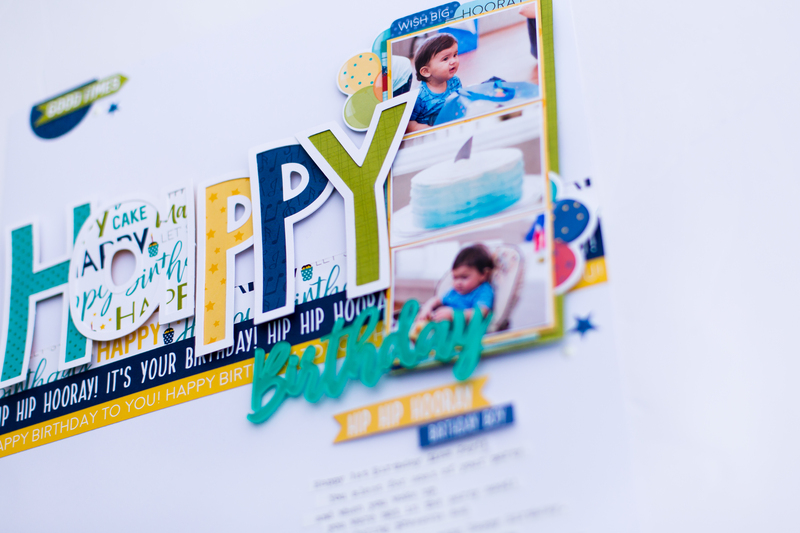 Erica here with you today and I am so excited to be sharing my very first layout for Bella Blvd Creative Team. This week we are working with the fabulous Bella Acrylic Words! The possibilities are endless with this embellishment! Today I wanted to use one of the acrylic words as part of my title. I started with a piece of white American Crafts smooth cardstock for my background. I pulled out the Wish Big Boy collection from Bella Blvd and a cut file alpha from The Cut Shoppe. 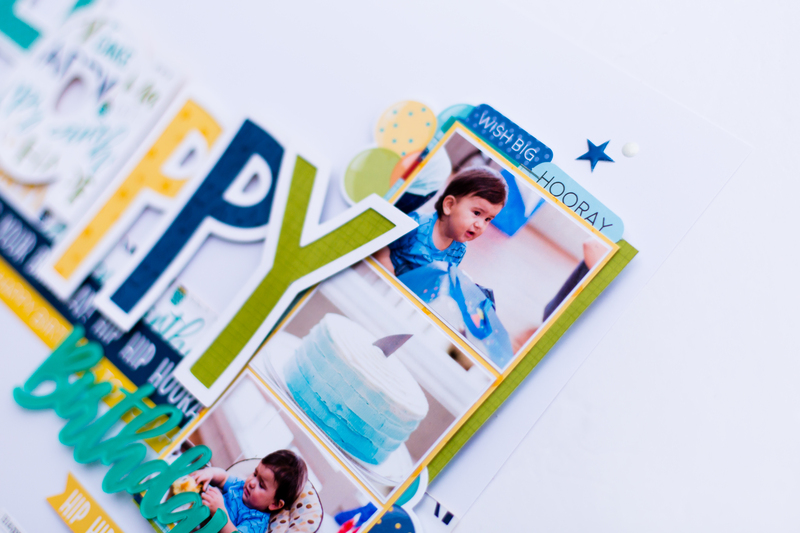 I cut out the word Happy in white card stock and backed with papers in the Wish Big collection. 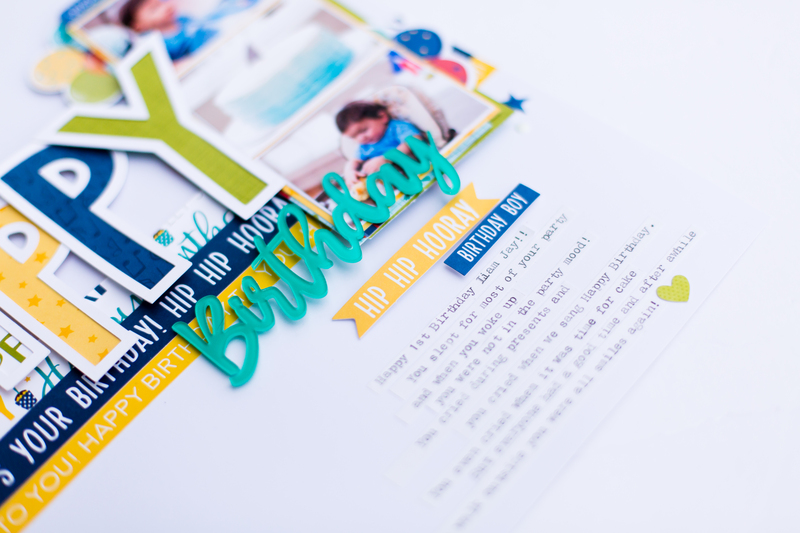 I just love to use cut files on my layouts and using big cut file words is one of my favorite things to do. It is so easy and I love the look on a piece of white card stock! The photos I am documenting are of our youngest son Liam Jay on his first birthday! He fell asleep on the way to the party and slept for the first half of his party. When he woke up he was not in a very party mood so most of his photos from the day he is either sleeping or crying. Of coarse I documented it all with my camera so one day he can look back on them! I used some of the strips from the Boarders paper and added them to the center of the layout. I added foam squares to my cut file words and placed them on the boarder strips with my photo off to the right side. 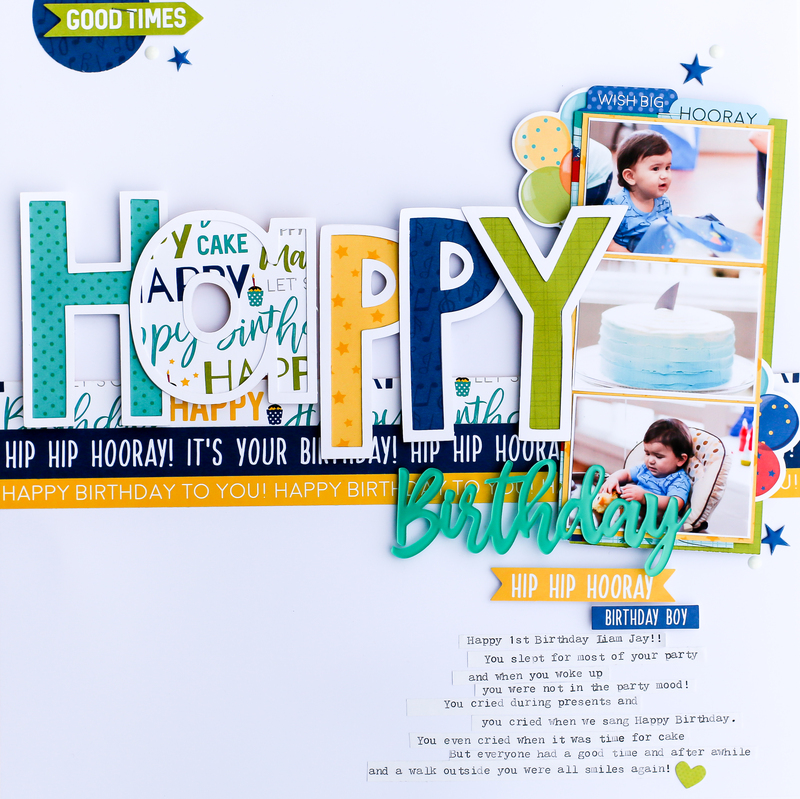 I pulled out some Wish Big Ephemera and Ephemera words to embellish around my layout. To finish of my layout I pulled out my WRMK Typecast Typewriter to add my journaling. Here is a look at my completed layout! You can see my process over on my YouTube Channel! Have a wonderful day!